Ronnie will avoid a criminal record for assault. 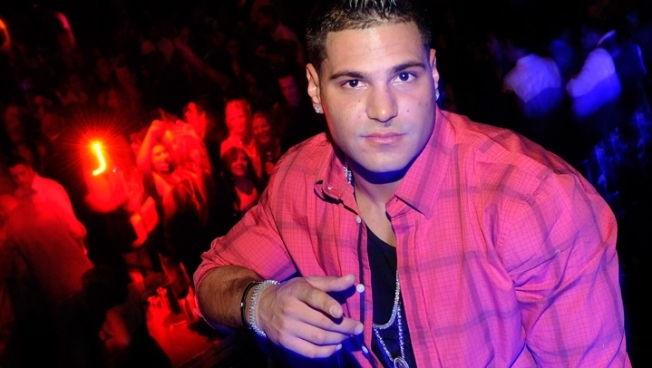 "Jersey Shore" cast member Ronnie Ortiz-Magro has been admitted into a pretrial intervention program that will allow him to avoid a criminal record for an assault that was shown on the first season of the MTV reality series. The 25-year-old New York City resident appeared Monday in New Jersey Superior Court. Judge Stephanie Wauters told Ortiz-Magro that he'd be in the program for 18 months and asked if he'd be willing to do community service during that time. The Asbury Park Press reports that he said he would, though the judge did not specify what or how much. Ortiz-Magro was charged after a September 2009 fight outside a nightclub.